School of Theology and Ministry (STM) Professor Thomas Groome, who has directed the Church in the 21st Century Center (C21) since 2015, will finish his three-year term at the end of the spring semester, the University announced yesterday. He will return to teaching theology in the fall. In a letter to colleagues, Groome said that he was pleased with the center’s accomplishments throughout his term, as reported by BC News. “I am proud of the good work we have done here at C21 over the past three years, maintaining its vitally important mission of being ‘a catalyst and resource for the renewal of the Catholic Church,’” Groome said. In his letter, Groome said that he looked forward to returning to his full-time faculty position at the STM, and continuing to contribute to its teaching, research, and service activities. University President Rev. William P. Leahy, S.J., thanked Groome for his service during his term as C21 director. The search for a new C21 director will begin this week and will be chaired by Robert Newton, special assistant to the president, Leahy said. 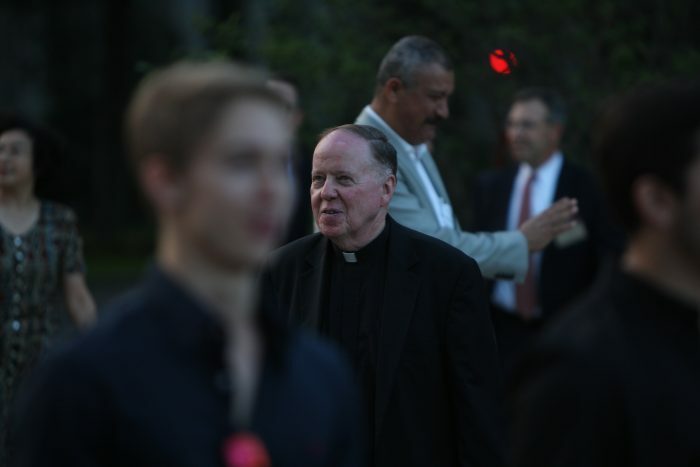 BC launched C21 in 2002 in response to charges of sexual abuse and misconduct made against the Catholic Church and its priests, as previously reported by The Heights. The initiative engages the BC community in critical conversations facing the Catholic community regarding four critical issues: handing on the faith, roles and relationships in the Church, sexuality in the Catholic tradition, and the Catholic intellectual tradition, as said on the C21 webpage. The center has had a key planning role in more than 600 events that have attracted approximately 70,000 participants, including 500 scholars or prominent Church figures, according to BC News. It also offers access to various webcasts of C21 program; its magazine, C21 Resources; and Agape Latte events, which have attracted more than 10,000 students since it launched in 2006.